Bone consists of an inorganic and organic matrix. The inorganic matrix is approximately 75% of the dry weight of bone and is mainly calcium hydroxyapatite crystals. The inorganic matrix of bone is responsible for providing bones with the ability to withstand hard impact. The organic matrix of bone is composed of collagen (approximately 90%), chondroitin sulfates and glycoprotein growth factors. The balanced process of bone breakdown and regeneration, to keep bone mass constant, declines with age and breakdown begins to exceed regeneration leading to loss of bone mass. It is estimated that 25 million people in the United States are affected by brittle bones. 50% of all women and 15% of all men in the US will suffer an osteoporotic related fracture in their life. Age, medications, lack of exercise, smoking, genetics, caffeine and alcohol consumption, and diet can contribute to bone loss. 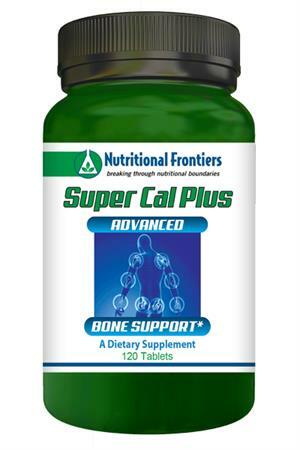 Healthy bone requires MCHC, calcium, magnesium, Vitamin D, Vitamin K, boron and copper. MCHC Microcrystalline hydroxyapatite is whole bone food and provides a highly absorbable and a superior source of calcium. This source of calcium also provides other essential minerals (such as magnesium, potassium, zinc, copper, manganese, silicon, and iron) and protein growth factors proven to support bone health and strength. Magnesium, Boron, and Copper are all necessary to support calcium absorption and utilization plus decrease the loss of bone calcium. Vitamin D3 plays an important role in protecting your bones. Your body requires Vitamin D to absorb calcium. Children need Vitamin D to build strong bones, and adults need it to keep bones strong and healthy. When people do not get enough Vitamin D, they can lose bone. Studies show that people with low levels of Vitamin D have lower bone density or bone mass. They are also more likely to break bones when they are older. Vitamin K2 The research on Vitamin K to reduce bone loss has been very promising. Researchers have found that Vitamin K is important for the maintenance of healthy bones. Vitamin K is found in green, leafy vegetables such as broccoli, brussels sprouts, collard greens, lettuce, and spinach. Because of Vitamin K’s role in blood coagulation,individuals on blood thinners should check with their doctor before attempting to increase their Vitamin K intake. Suggested Use: As a dietary supplement, take 2-4 tablets daily with food. The daily amount should be divided between AM and PM or as directed by your health care practitioner.